Here’s Sweeper Clock by Maarten Bas, a movie featuring two men with brooms pushing lines of debris to form moving clock hands. The Human Clock is a clock made from crowdsourced photographs. 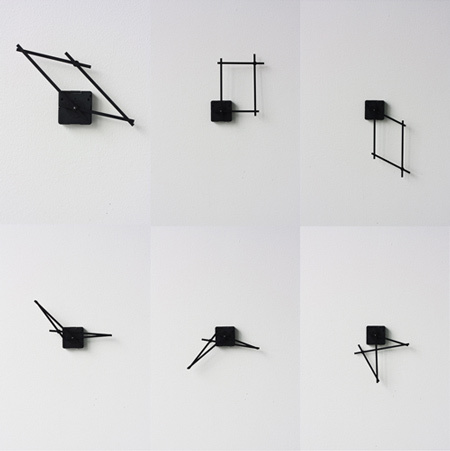 The Photo’Clock is similar, by Mono-1. 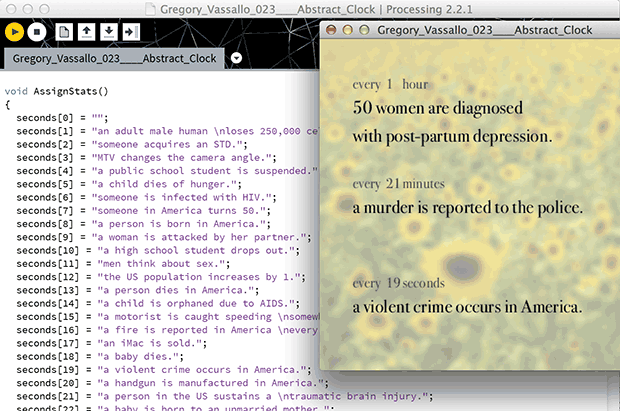 Another, All the Minutes is a clock comprised of tweets about the current time. 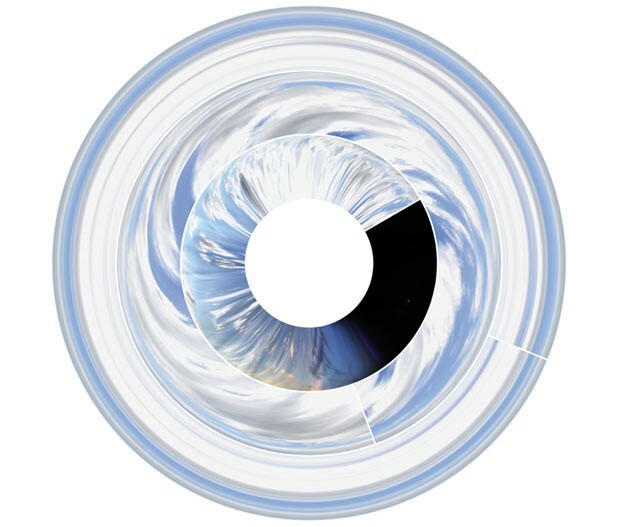 A well-known ‘crowdsourced’ clock (in a different sense) is Christian Marclay’s Clock, a 24-hour film made up of six or seven thousand clips, each of which either says or displays the (actual) time of day or makes a cogent reference to time. I have a hunch these clips won’t have a long lifespan on that video hosting site. Let’s start with something simple. In The Colour Clock displays the current time as a hexadecimal color. Hours = red, minutes = green, seconds = blue. There you go; glad that’s over with. In case you were wondering, more than several people have thought of this. Low hanging fruit. Quasimondo’s Clockr no longer seems to be operational, but it used the OneDigit photopool at Flickr…. you can imagine it. In Pong Clock, a modified game of Pong, two computer-controlled NPC’s constantly score the time. 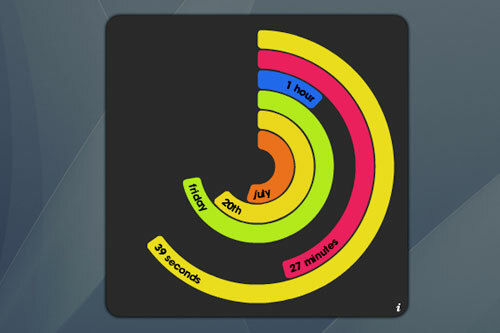 Here’s an interactive clock (Java applet) I created for John Maeda’s assignment in 1999. In this clock designed by Giha Woo and Shingoeun, a single spiraling arm indicates the time in different countries around the world, simultaneously. In some situations, it may not be necessary for a clock to “work” mechanically in order for it to “operate” powerfully. Below are clocks which are frozen at 8:15am, the moment when the Hiroshima bomb detonated, when Kengo Nikawa’s pocketwatch stopped forever. In another situation, a clock may simply be working so slowly that it never appears to be working in our lifetime. The Clock of the Long Now, designed to last 10,000 years, ticks once per year and chimes once per century. As such, it fosters long-term thinking and remains an important symbol of hope for the future.